The 9th Conwy Feast was another great success for Conwy town, with the streets thronged with visitors until late on Saturday evening, and still busy on the wet Sunday. Conwy BKA shared the Farming for Food tent with various livestock: cattle, sheep, geese, small pigs, chickens and a very large horse. We made contact with over 20 would-be beekeepers. Many thanks to everybody who supported the event. Henfaes Research Centre, Abergwyngregyn 10am until 3.30pm. Open to all. Learn how to make a variety of beeswax candles for yourself or as Christmas presents for friends and family. 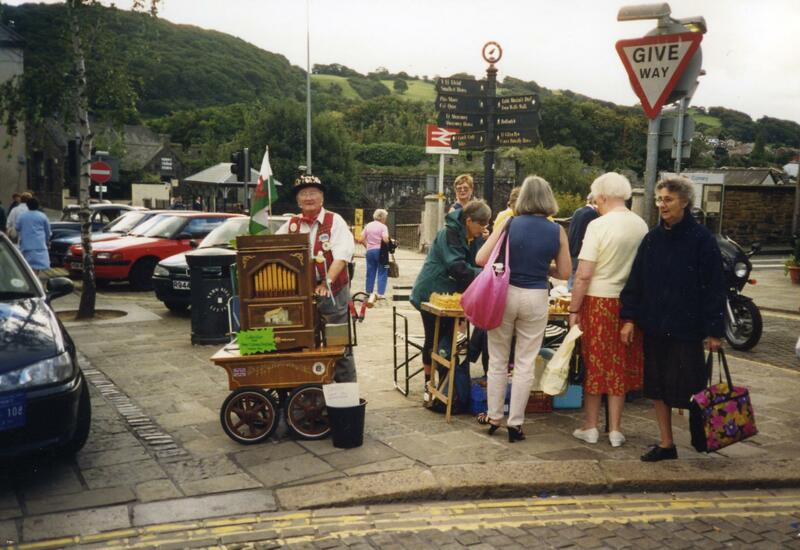 Led by Paul and Pauline Aslin, Dolgellau. See their interesting website www.erwgoed.co.uk/. £45 per person including a tasty lunch, and one of each type of candle and some lip balm, all made by you, to take home. Limited to 16 people. Organized by National Beekeeping Centre Wales. To book your place and pay by card, please phone the Visitor Centre (open every day except Mondays) on 01492 651106 or call in at Furnace Farm.